Great question, and one that doesn’t have just one answer. 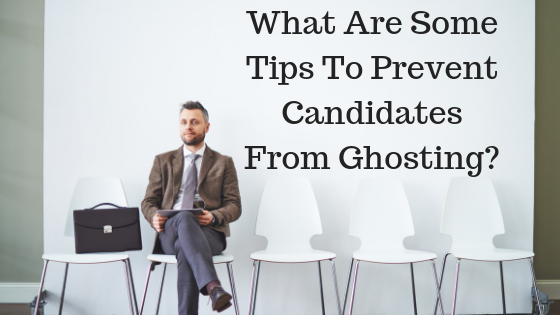 For the various reasons that potential employees are ghosting, many of them may point to the image that you’re portraying as an employer online. In a world where we are inundated with different messages and forms of communication, what can you be doing to help yourself stand out from the crowd of employers on Indeed or ZipRecruiter? Try following a few of the steps below. Make Social Media Your Friend: Perhaps you are one of the employers who isn’t sure social media is for them. Maybe your industry or services don’t lend well to social media, or you’re just not comfortable dedicating what could be 40 hours a week to your followers on Facebook, Snapchat, Twitter or Instagram. However, consider this: 18.2% of referral makers ages 25-34 won’t refer a provider (or in this case, an employer) if they are not on social media. If you’re in the process of trying to catch the next wave of employees, consumers, or influences, you’re going to be caught in the surf without some form of active social media presence. Create an Encouraging Culture of Communication: By remaining in consistent communication with your candidates, you can begin to build relationships that create a sense of responsibility in the candidate to reach out if they’ve changed their mind. But this responsibility goes both ways. When surveyed by CareerArc, over nearly 60% of candidates reported a poor experience with an employer or recruiter. Imagine the impact on that 60% if those responsible for the direct recruiting remained in contact with their candidates, keeping them updated on where they stood in the process. In the same study, 72% percent of those respondents said they shared their negative experience online or with someone directly. By cultivating a culture of communication between the employer and the potential employee, you can present an attractive image to candidates – one candidate want to be involved with. Don’t Hide: Similar to the fact that you should be active and involved in the public eye of social media, you should be actively approaching negative comments that may come out from behind a far-away keyboard. In a world that revolves around constant and instant communication, bad news can travel fast, and negative reviews can have a quick impact. In fact, USA Today recently reviewed a case where Yelp.com won a lawsuit against a local law firm that had received a negative and harsh review by a Yelp user, damaging their business reputation. When dealing with negativity in your web presence, a quick, factual and polite response will show potential employees (and potential customers) that you are an outstanding partner in the whole process.